Atlantic Coast Conference schools had 16 of their former players chosen for this year’s National Football League Pro Bowl Wednesday evening in the initial selections to the prestigious NFL all-star game. The ACC’s 12-team total of 16 Pro Bowl selections was topped only by the SEC whose 14 current teams had 20 players selected. The Big 12 was third with 11, followed by the Pac-12 (10), the Big Ten (8) and Conference USA (4). Miami led all ACC schools and tied Tennessee nationally for most selections by a school with six. Boston College, Florida State, North Carolina and Virginia each had two Pro Bowl selections, while Georgia Tech and Virginia Tech had one former player chosen apiece. 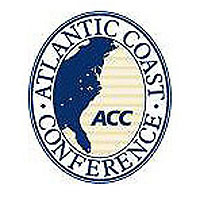 The ACC had two of the six quarterbacks chosen in Atlanta’s Matt Ryan (Boston College) and Houston’s Matt Schaub (Virginia), while also having three of the eight receivers on the two Pro Bowl teams in Detroit’s record-setting Calvin Johnson (Georgia Tech), Houston’s Andre Johnson (Miami) and Indianapolis’ Reggie Wayne (Miami). Johnson set the NFL single-season record for receiving yards this year with 1,892 yards with still one regular season game remaining. He also became the first player in NFL history to top 1,600 receiving yards in consecutive years.